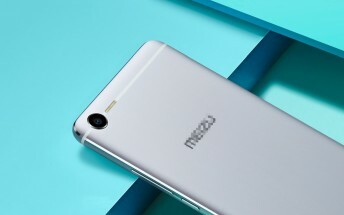 The Meizu E2 will be officially unveiled this Wednesday, so consider this a sneak preview. 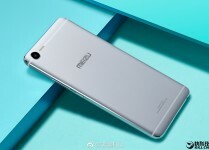 Leaked images show the metal chassis of the upcoming mid-ranger and a very unorthodox flash. It features four LEDs of alternating cool and warm colors that are arranged in a straight line. We’re not sure what’s the reasoning behind this arrangement, though it does lie neatly on the top antenna line. Perhaps not drilling a hole in the metal for the flash improves the rigidity? Or maybe it's just a design thing? Anyway, the rest of Meizu E2’s back fits neatly into the company’s lineup (though most Meizu handsets have a camera on the center line rather than in the corner). That camera should take 13MP stills. From earlier leaks we know what to expect on the front - a 5.5” 1080p screen and an mTouch fingerprint reader. Inside, an octa-core processor will come with between 2GB and 4GB RAM (presumably tied to the amount of storage). Also, a short leaked video showed a USB-C port and a headphone jack. The expected price is CNY 1,700 (just under $250) for the 32GB model.